I don’t know how old I am. My earliest memory is something along the lines of fire good, ice bad, so I think I predate written history, but I don’t know by how much. I like to brag that I’ve been there from the beginning, and while this may very well be true, I generally just say it to pick up girls. The Immortal books– The Immortal Trilogy and The Immortal Chronicles–are a mash-up of science fiction, contemporary fantasy, and historical fiction, with elements of action/adventure and humor tossed in. All are narrated by Adam, an immortal man. I’ve been in quite a few tight situations in my long life. One of the first things I learned was if there’s going to be a mob panic, don’t be standing between the mob and wherever it is they all want to go. The second thing I learned was, don’t try to run through fire. Adam is a sixty-thousand year old man. (Approximately.) He doesn’t get old– he looks no older than thirty-two– and he doesn’t get sick, but he is otherwise entirely capable of being killed. His survival has hinged on an innate ability to adapt, his wits, and a fairly large dollop of luck. Having lived through the dawn of civilization, Adam makes for an excellent guide. When he’s sober. She looked at me with the kind of disbelieving expression only a vampire can give to an immortal man who doesn’t believe in magic. Adam has a lot to say about history, populated not just by some familiar names but a fair number of other species: vampires, demons, pixies, and other things most of us would describe as magical in nature. But by his reckoning, there is no such thing as magic, and there never has been. As Adam points out, there are a great many things in history Mankind has misinterpreted, and the supernatural is one of those things. It doesn’t mean there aren’t vampires, but perhaps they aren’t as mysterious and dangerous as humans take them to be. Although perhaps sometimes they are exactly that dangerous. Demons may not come from the pit of hell, but that doesn’t mean they’re any fun to be around. It is a known fact that most creatures will run in the face of a well-swung broom. Even some larger creatures, like tigers. Honest. The Cult of the Immortal— an online group frequented by Adam’s biggest fans, by author Gene Doucette, and by Adam himself. Adam has his own Facebook account, is a regular on Twitter, and maintains a Tumblr that to this point appears to be largely devoted to archeological discoveries of things he used to own. Wow, man. You’ve been talking about this non-stop, so I though I’d check it out. It’s a pretty good sign when the website would’ve sold me on it without ever having met you online. Sounds really good. I absolutely love Adam’s twitter feed – he’s got a great sense of humor and snark :>. I enjoyed reading this! The book sounds unique — something in short supply these days — a clever and amusing take on history and the human race itself. Adam is funny as hell even as he’s being sincere. Nikki– Thanks! Great to hear from you! Please let people know it will be available immediately upon release through Amazon, eventually to follow at bookstores at a later date. Gene!, i haven’t seen you in a long time, well pretty much since Print Error, no comment on that one, and since you wrote my college script so i could shoot my final film project for class. haha I think it was originally called, “It’s not you, it’s me” and maybe possibly one of the 48hfp but anyways I’m only telling so you’d remember me, but dahaaamn. It’s awesome to see this project come to a head, I’m definitely going to pick a copy up. Any Idea where I can get one. Barnes and Nobles? :p I see Amazon for now. I caught a review of your book on wired.com – which alone intrigued me – but then there was a link to the first few pages of the sequel to Immortal – which I couldn’t help but read. And after just those 4 pages – I purchased Immortal from amazon just like that. I can already tell if Adam has learned one thing in over 60,000 years – it’s a great sense of humor and wit. I’m looking forward to reading it when it arrives in a couple of days and will post back when I have finished! Geoffrey! Glad you found the book. Hope you enjoy it! I literally finished the whole book in a little over two days of casual reading. Not only have I recommended the book to my wife – but also my dad – who I think will both equally enjoy it. Geoffrey, I love your enthusiasm. You win “fan of the day” at least. Hellenic Immortal’s timeline is probably going to have it out in 2012, hopefully in the first couple of months of the year, but hang in there; it might not be until May. I just read “Immortal” and “Hellenic Immortal” over the last couple of days, and I am in love! I hope you have many more ideas for Urrr to come. I wish I had more of his adventures to read about right now, but alas: work resumes tomorrow. It is definitely for the best that there are no more at the moment, for me personally. I can honestly say that I have not been this enamored with a book since I read Dune back in 7th grade. I’m now 23. You are absolutely brilliant, sir. Is there a time frame for a future release? Ariana– I love your enthusiasm! Thanks, this is just what I needed to start off the new year. It is going to take me some time to finish the third book, I’m afraid. There is much research going on. I’m hoping to have it done by 2014. The good news is, I have a new book called Fixer that is coming out in a few months. I am buying a paperback copy to send to my father (who like me is a big Lazarus Long fan) and will be on the lookout for Fixer. I really enjoyed the allusions in Ariadne’s research. Have you ever read/heard of the Horseclans series? It was released quite some time ago (70s if i had to guess) but my father has almost all of them. The central character in most of them is a man named Milo Morai. He sustained a headwound back in the early 20th century, but being immortal in the same way Adam is (except he has accelerated healing) he recovered. Only problem is…he doesn’t remember any of his history. He is disturbingly good at all forms of martial arts (including swordfighting) and seems to speak every language spoken to him. A thousand (or so) years later, a medicine man sees him in a vision in the past, riding a horse into battle in ancient Babylon. He never really recovers his memories, which is good, because he evidently used to be a very bad man and is from thereon a good guy due to the people he formed a new personality in the presence of. Just thought you may be interested. Ps: WordPress mobile is so weird. You click to log in as one account, and it logs you into the other one anyway. I give up. on Drupal, what a relief to see a person who really knows what they’re talking about on the web. You definitely realize how to bring a problem to light and make it crucial. A lot more people should really have a look at this and see this side of the story. It’s surprising you’re not more popular, as you most truly possess the gift. What I would really like to know is…. 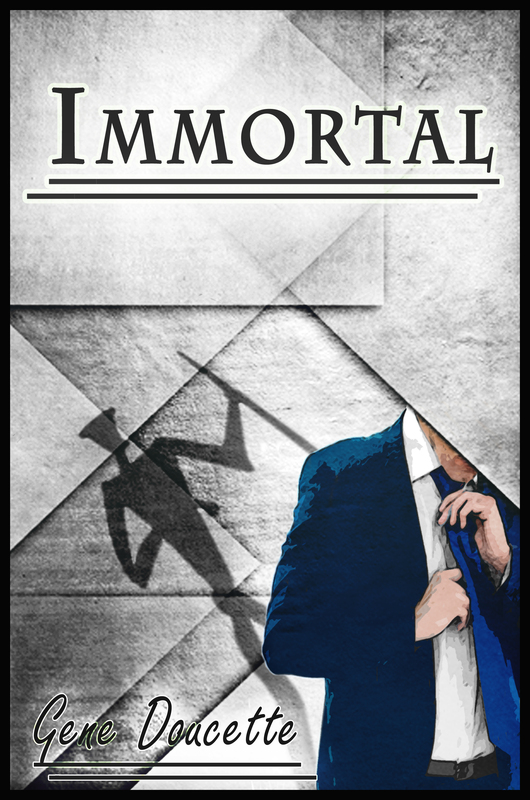 When is the next book in the Immortal series coming out? The first two books were fantastic and I am eagerly awaiting the next. The Spaceship Next Door– Print Edition!